WOW! WOW! WOW! Location, Location, Location! This Home is Close to Light Rail! YOU WILL NOT SEE ANOTHER UNIT LIKE THIS! 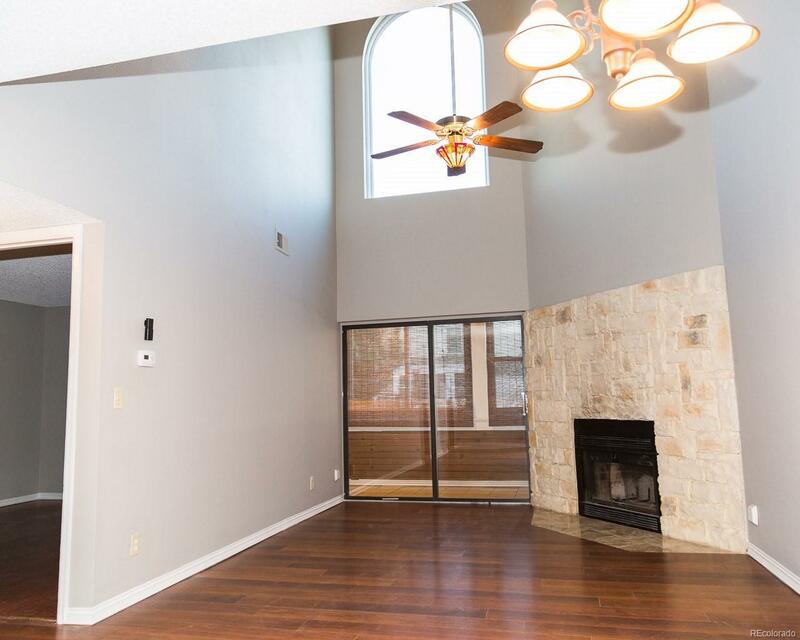 Enter into the 30 Foot Cathedral Ceiling, Beautiful White Rock Fireplace, Wood Flooring Throughout, To the Left is the Newly Renovated Kitchen Including Stainless Appliances, Granite Counters, New Sink/Fixtures, Cooktop and Microwave Built in, Amazing Cherry Cabinets, and Tile Floor! The First Floor Master Suite with Updated Bathroom Has Access to the Enclosed Patio! Only Home in Community with $6,000 Anderson Window that Brightens up the WHOLE House! The Second Floor Features an Amazing Loft Area Soaking Tub..Enjoy! 2nd Master Suite 30 Feet High Ceilings and Fans! 1 Underground Parking Space! Move in Ready! Great Roomate Floorplan! Professional Closet Organizers in Master Closet, Newer HVAC, And A/C.This Home is READY! Lots of interest. All information provided is deemed accurate but not guaranteed, buyer and buyers agent to verify all information.